Powerful with sherry-like aromas and flavors - nutty, stony, salty and dry with zingy acidity. Palate is similar with a salted almond flavor. Try it at least once. Pairs with olives, charcuterie, compte cheeses, roasted pork. 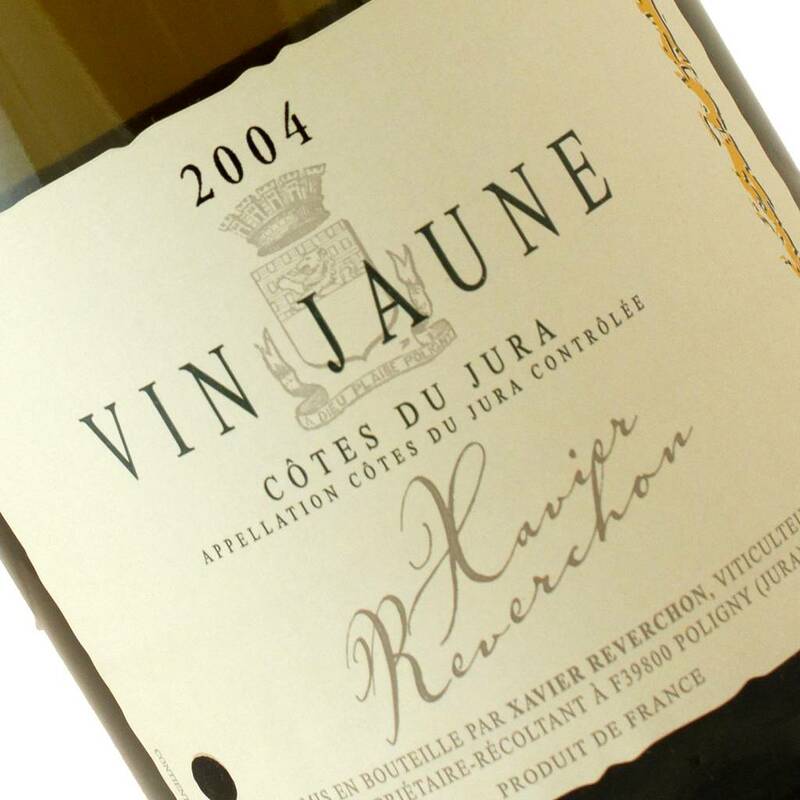 Vin Jaune, or “Yellow wine” is probably the most famed, (if there is such a thing) wine of on the Jura. Made from the local Savagnin the wine is transferred after about 18 months into large Burgundy barrels with a gap, or space left between the barrel and the wine. Over time a yeast forms over the wine, this is called the voile, veil and that yeast contributes to Vin Jaune’s incredibly unique flavor, and preserves the wine’s freshness. Aged for at least 6 ½ years before release and checked at least twice a year by an agent of the Jura to ensure typicity and a high standard of quality. These wines are not for everyone, but they are some of the most memorable one will ever encounter. Aromatically not unlike Sherry, powerfully nutty, stony, salty and dry but with so many layers of utter complexity that keep you coming back for more. A deep, haunting and bone dry wine that as a full and curvy body, zingy acidity and a salted almond flavor that goes on forever. It is a truly rare wine that every wine lover/nerd needs to try at least once.